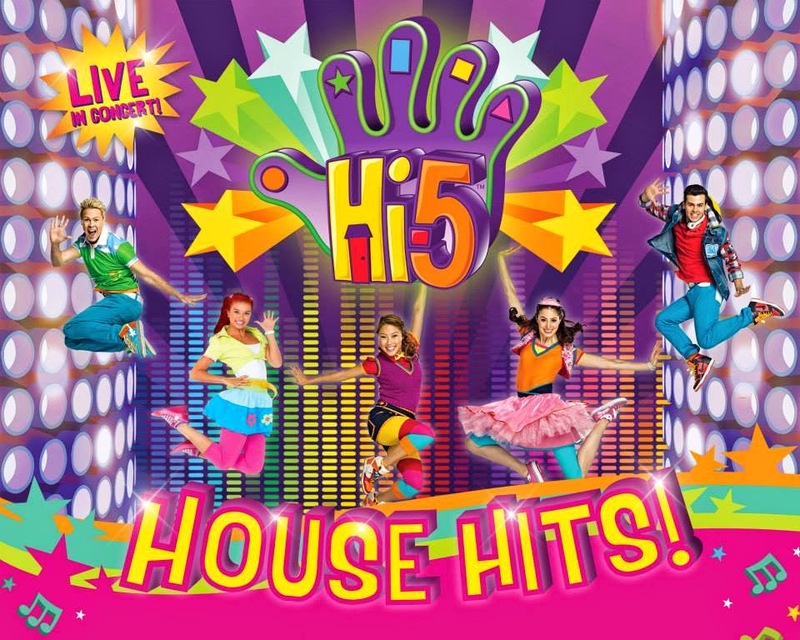 A Merry SM Christmas With Hi-5! 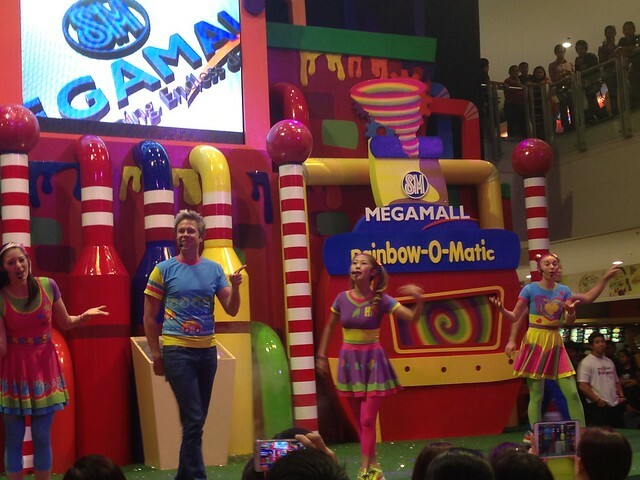 Last month, we got the chance to watch and had a meet and greet with Hi-5 at SM Megamall's Rainbow Factory launch as a part of SM's #MerrySMChristmas! 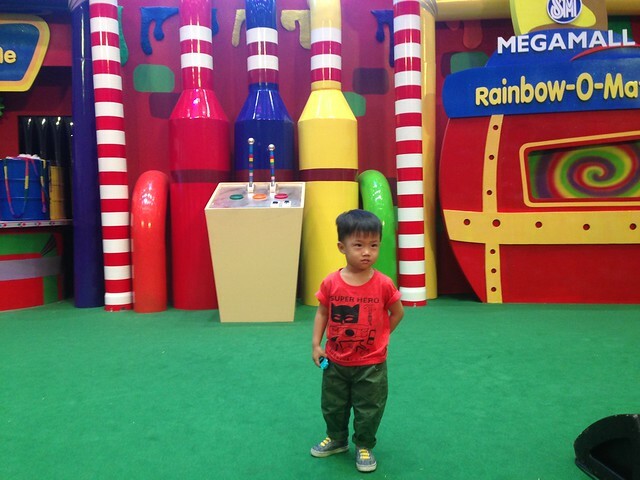 It was R's first time to watch Hi-5 live! 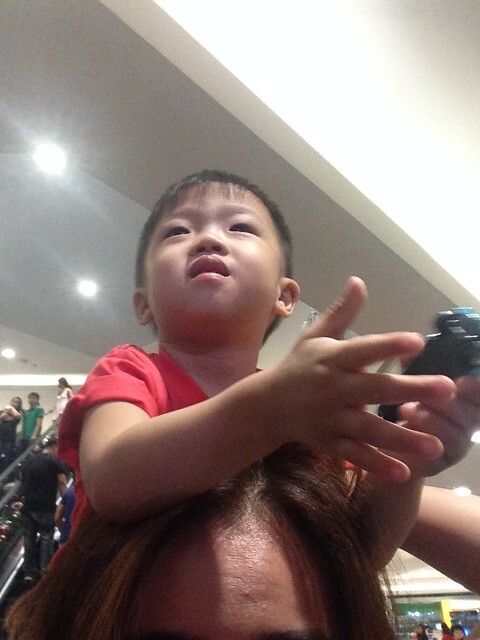 The last time we watched Disney Live in MOA Arena, R was a bit difficult and uncooperative. I didn't expect anything less this time. Haha! But I took him anyway. 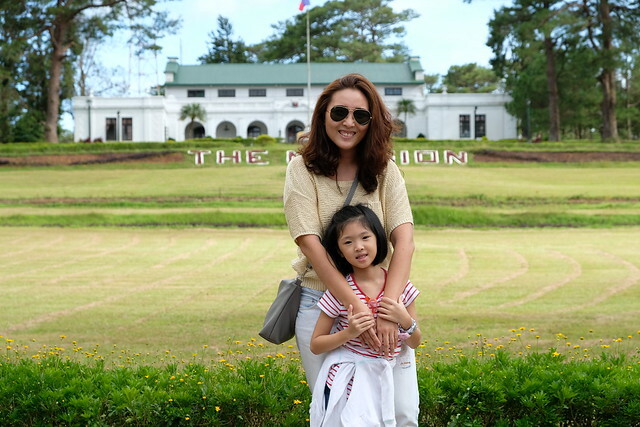 We braved the EDSA traffic on a Friday. We were stuck for 2 hours but we still made on time! The 4pm show was still ongoing and we were able to have a peek. R was clapping along and excited. We had a quick bite at Bubble Tea with Mish and family before lining up to be seated! 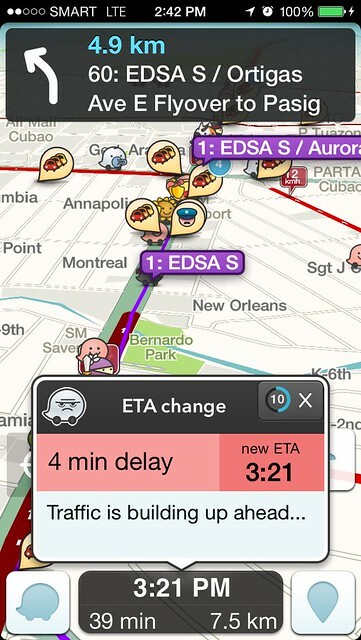 Super traffic grabe! At least the kids were able to nap. And true enough, R gave me a hard time hihi. 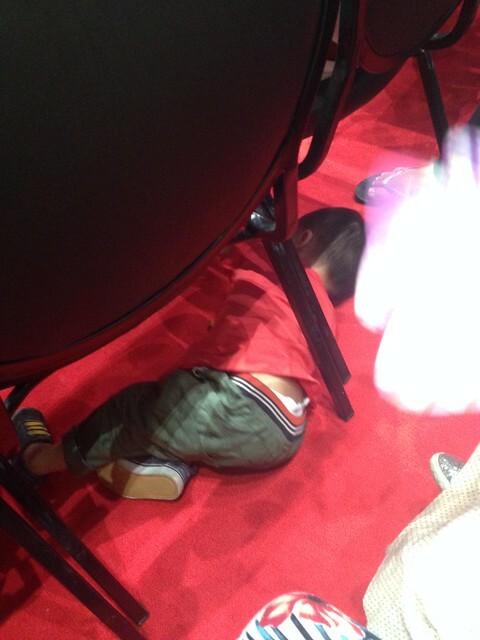 He went crawling under people's seat, went up the stage and didn't like to come down. Stress! 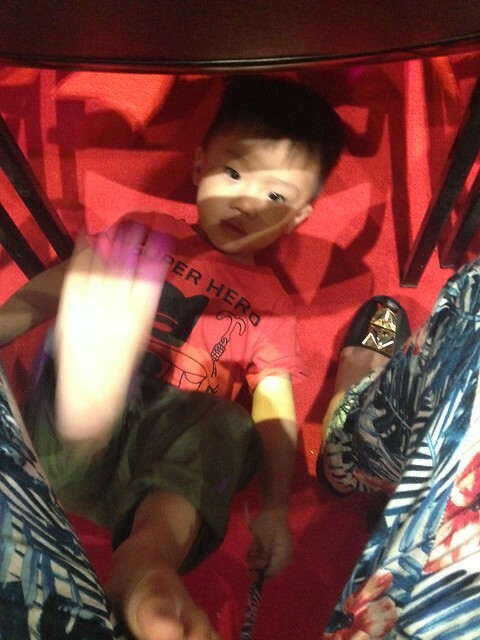 We waited for an hour or so before the show started and R was getting restless and bored. Terrible two's at its peak! He wanted to go up the stage and run around! Look at that naughty face. Can you spell S-T-R-E-S-S! And he was doing this when people started pouring in na. Buti na lang cute ka! 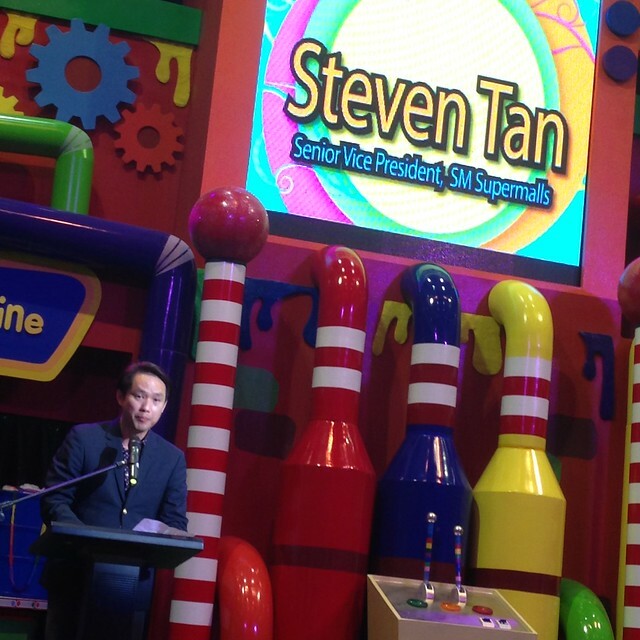 The show started with Steven Tan, SVP of SM Supermalls, giving an opening speech. 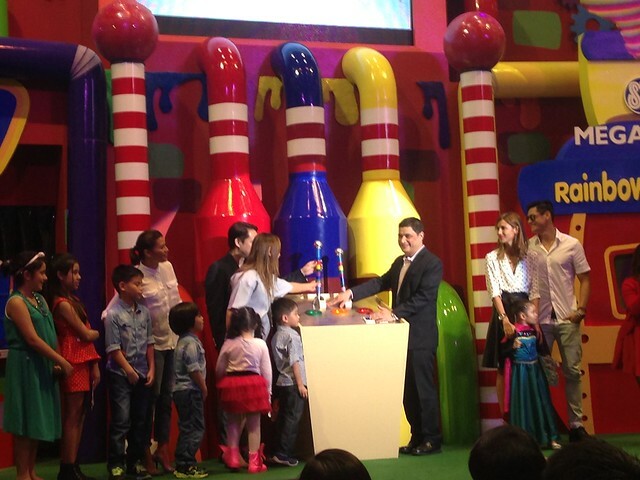 Then the official "opening" of the Rainbow Factory lead by Steven Tan, Ian Mathay of SM Megamalls with the help of some celebrity families! 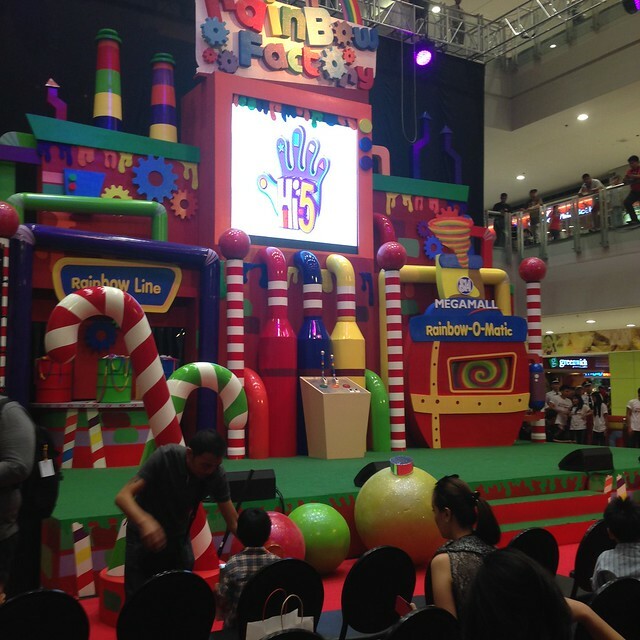 Another wonderful project of SM Supermalls and SM Cares this season of Christmas is their Bears of Joy program. Just purchase a pair of bears for only Php200, you get to keep one and the other one will be given to SM Mall's chosen charity. 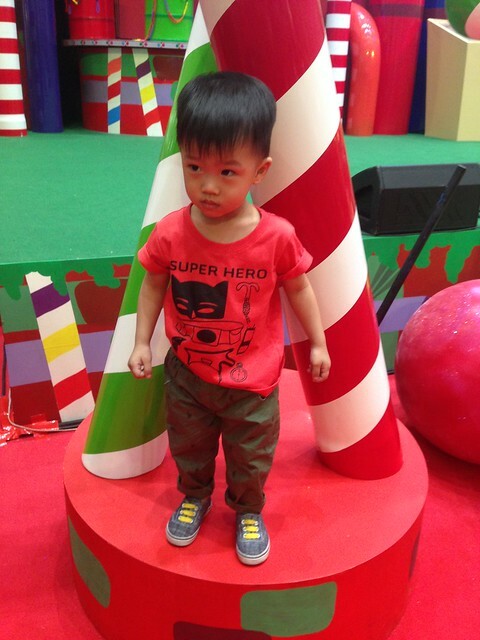 Just go to the nearest SM Supermall! 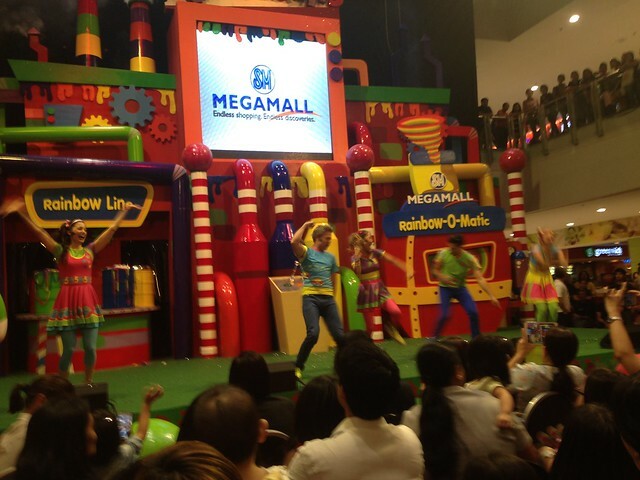 Then the beloved Hi-5 came out na and performed! Kids (and parents) went wild! I have to admit I know most of the songs and I was singing along more than Y haha! Y loved every minute of it. She was dancing and imitating their dance moves. While R was tulala haha! 1, 2, 3, 4... Hi-5! And the best part of the day was the Meet and Greet! 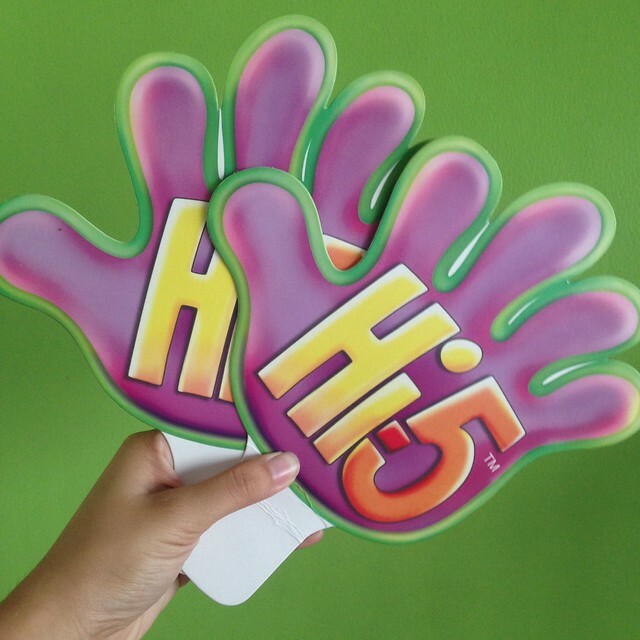 It was our second time to meet Hi-5. First time was December last year so it was really a treat to meet them again and have a another photo with them but now with R na! 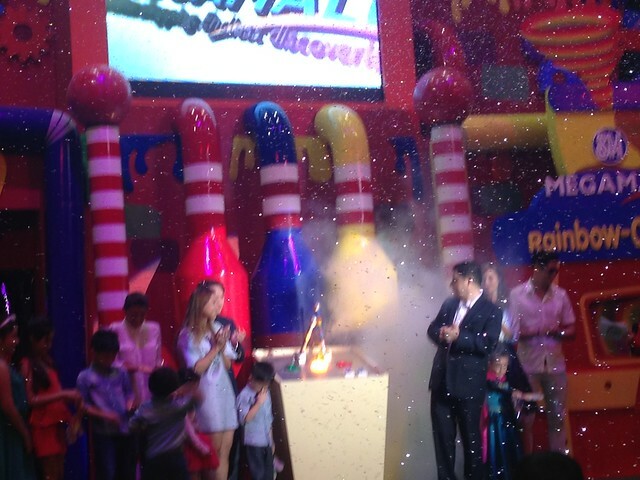 Thank you again SM Megamall and Hi-5! 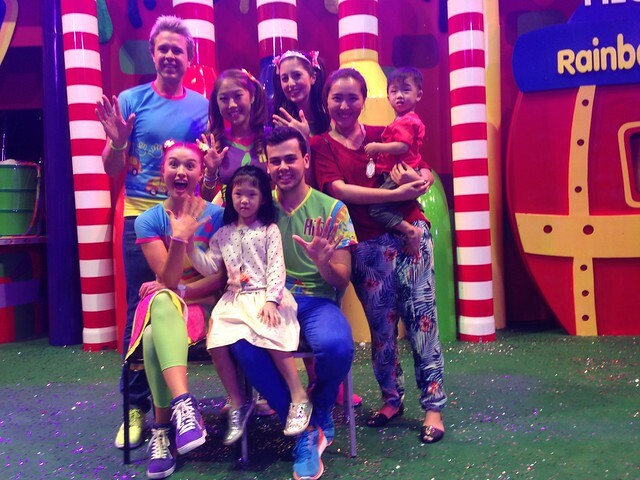 Hi-5 is coming back this December for a series of shows at Resort's World! 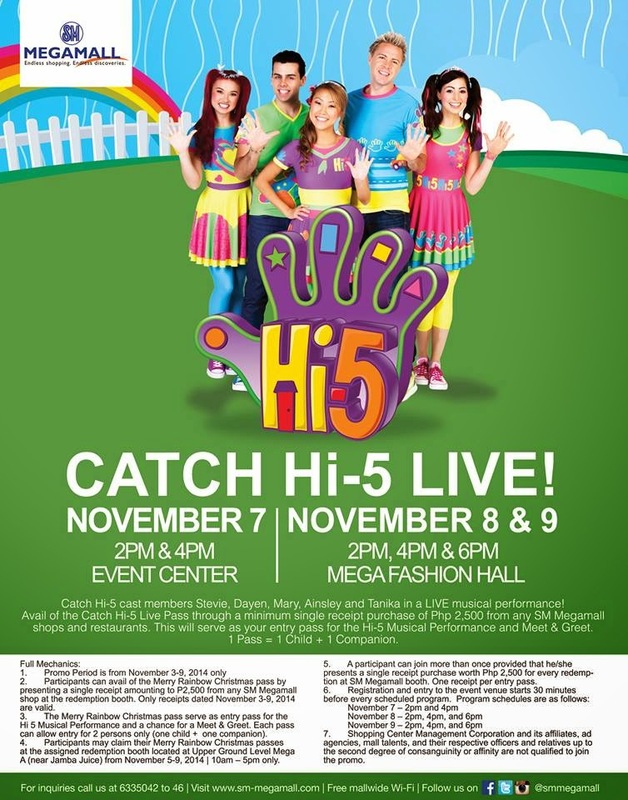 Watch them perform and buy your kids Hi-5 merchandises like the ones below! 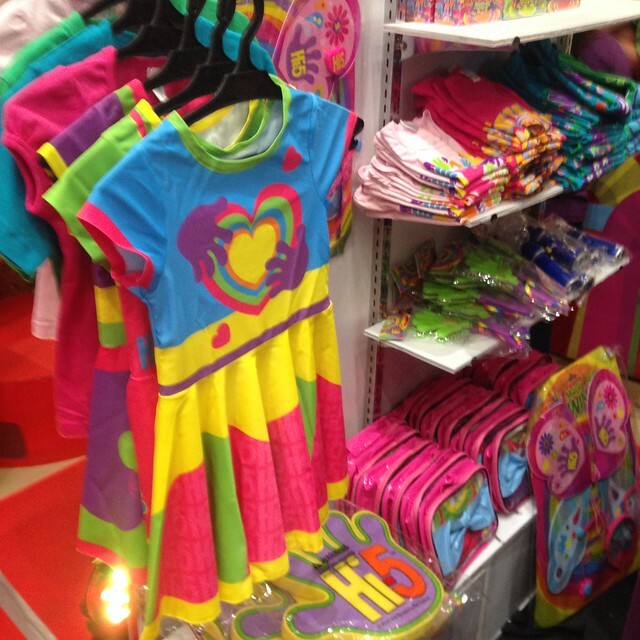 That Loliboli dress is so cute!!! 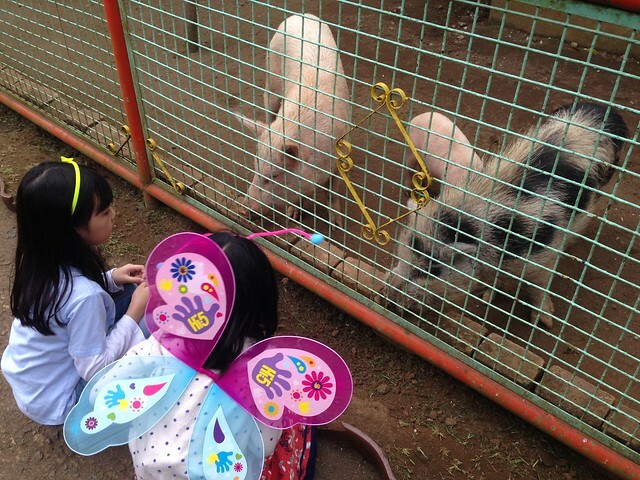 Y loved her wings, it came with us to Tagaytay haha! Buy your tickets now (if it's not sold out yet)! It's sulit promise! Check http://www.vivrefort.com/ for more details! 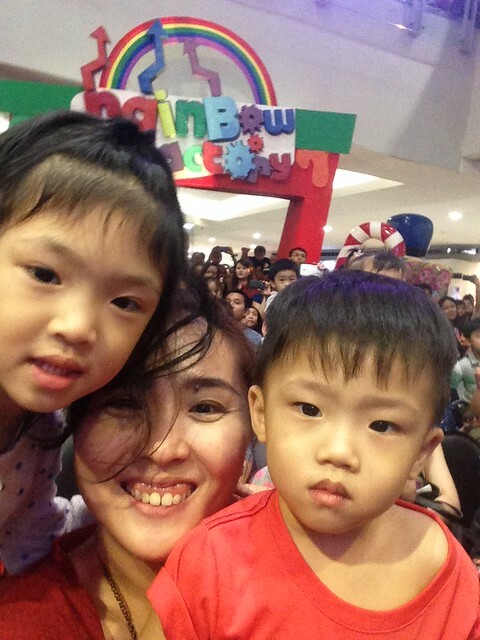 Plus go and visit any SM mall near your and see their Christmas display! 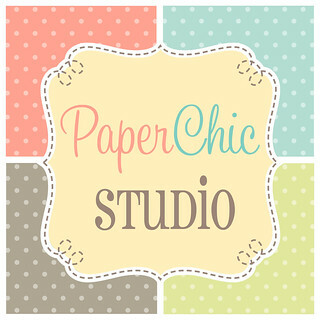 Follow and like their social media accounts!